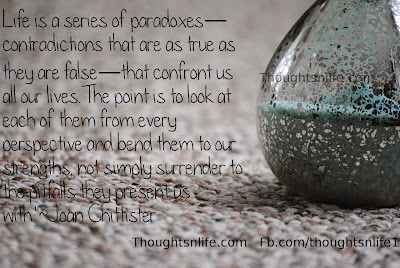 Life is a series of paradoxes. Life is a series of paradoxes—contradictions that are as true as they are false—that confront us all our lives. The point is to look at each of them from every perspective and bend them to our strengths, not simply surrender to the pitfalls they present us with."